How much great golf can one golf course architect bring to the game? If it’s the legendary Donald Ross, the sky’s the limit. 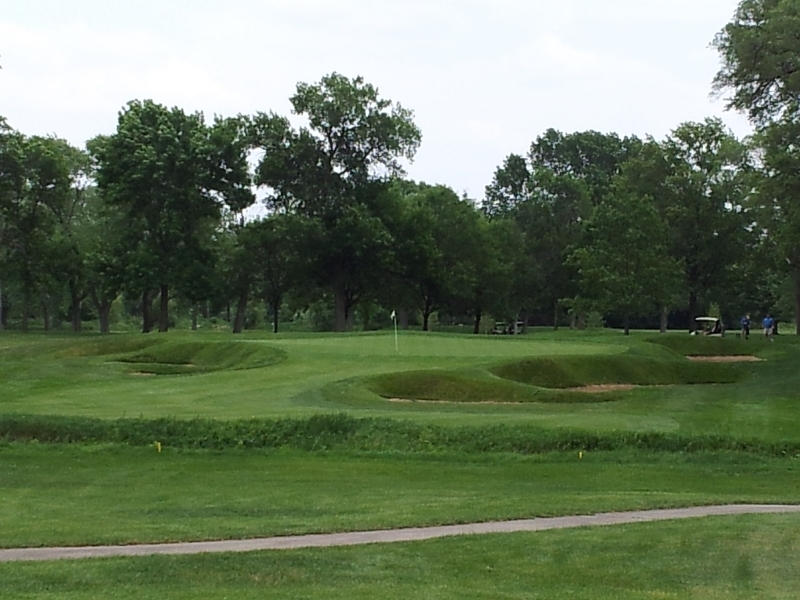 Fortunately for Chicago golf, we’re lucky to have multiple Ross gems in the area. One of the oldest is the splendid Ravisloe Country Club, which opened in 1901 and opened its gates in Homewood to the public in 2009 after existing as a private club for decades. 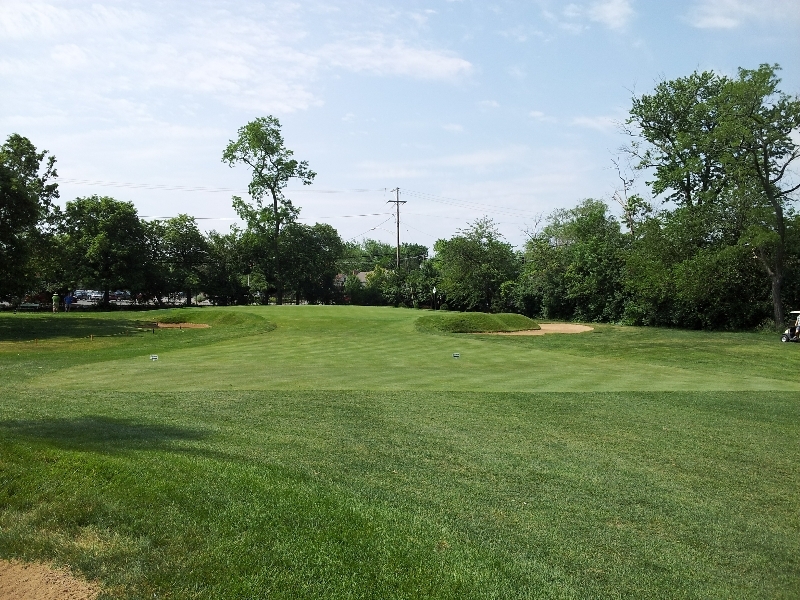 Ravisloe was one of the first golf clubs in the south suburbs to be located near a railroad line, providing easy access for Chicago residents. 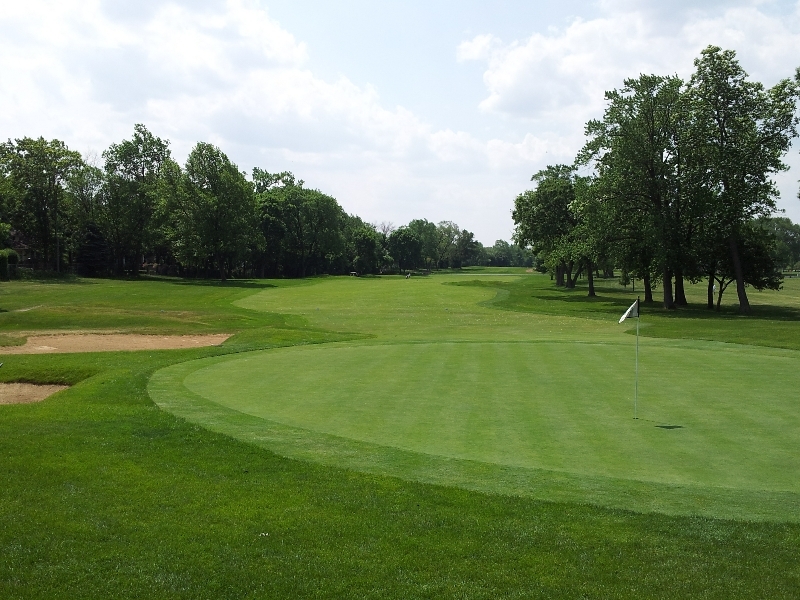 Idlewild Country Club in Flossmoor would follow suit seven years later and Olympia Fields Country Club joined the group when it was founded in 1915. Around 1910, the Illinois Central Railroad operated 253 weekday trains on its south suburban lines. The railroad also offered “Golf Specials” departing downtown Chicago at 12:23, 1:25 and 1:40. These trains brought golfers to Ravisloe and Idlewild as well as Homewood Country Club, Calumet Country Club and the defunct Windsor Country Club. The original version of Ravisloe Country Club was designed by Theodore Moreau and James Foulis on the the 120-acre Briggs farm in Homewood. An adjacent 55-acre parcel was purchased in 1910 and the entire golf course was re-worked by golf architect William Watson over the next three years. Donald Ross was invited to add his imprint to the course in 1916. 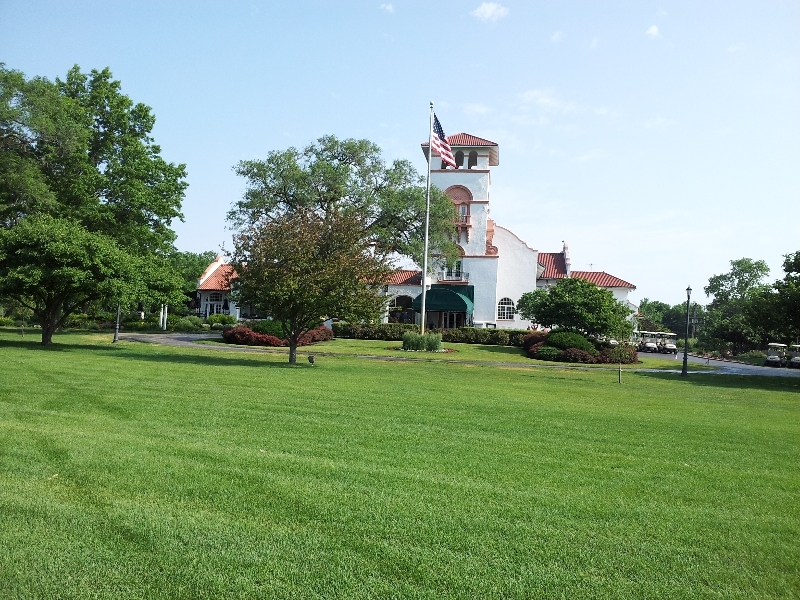 According to The Chicago Tribune, Ravisloe added their signature Spanish Mission-style clubhouse designed by George Nimmons in 1917. The structure was built on the highest spot on the grounds and the eighty-foot tower provided a comprehensive view of the entire facility. That iconic clubhouse is still in place today. 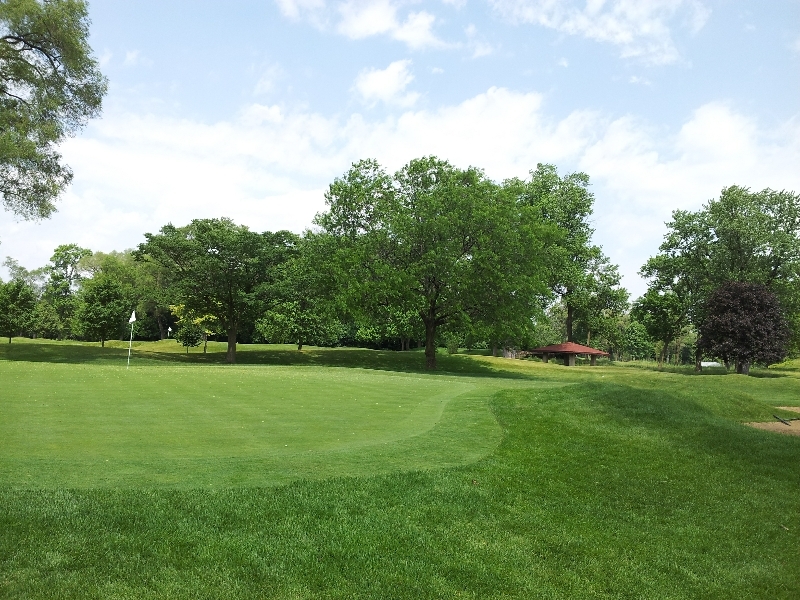 When Ravisloe Country Club was established in 1901, club founders selected the Briggs farm land for their club, but also considered another property owned by the Ravisloot family. Founding members felt “Ravisloot” had a nice ring to it, and decided to call their club Ravislow, finally changing the name to Ravisloe. The club has hosted some of the legendary figures in the game, especially in its early days. Harry Vardon and Edward Ray won a match 3 and 2 against Chick Evans and Warren Wood in an epic battle at Ravisloe in 1913. Vardon was a five-time winner of the Open Championship at the time and Edward Ray was the defending Open Champion. Chick Evans won the US Open and the US Amateur in 1916 and would later win the US Amateur again in 1920. Evans and Wood joined forces again to face Jerome Travers and John Anderson in a four ball match for the Red Cross at Ravisloe Country Club on June 8, 1918. Travers was a national amateur champion in 1907, 1908, 1912 and 1913. In 2001, golf course architect David Esler was commissioned to restore the Ravisloe back to the original Donald Ross design. Despite the redesign, the club faced significant financial concerns that forced its closing in late 2008. Donald Ross was famous for his intricate green complexes, and of the best examples is the par three 15th hole at Ravisloe. Playing just 154 yards from the rear tees, this uphill hole is protected by six bunkers. 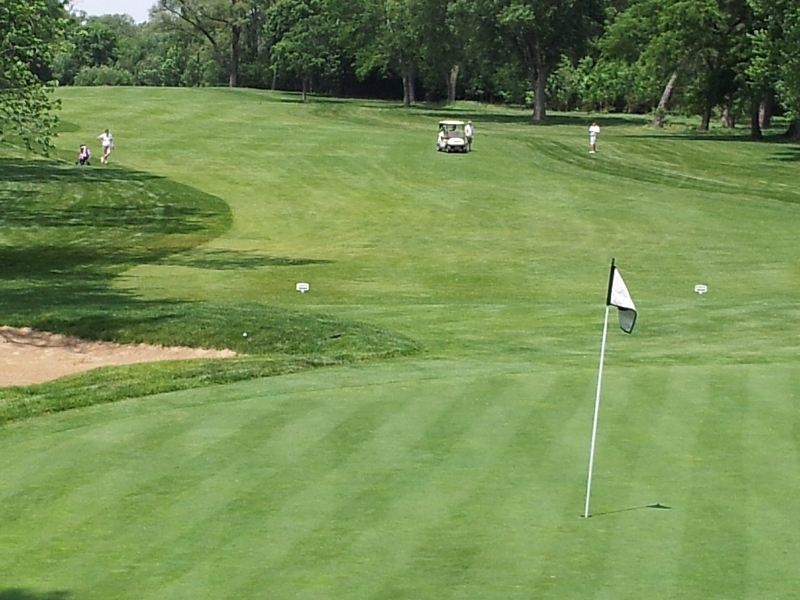 Find the back right bunker and you’re in trouble as the green slopes dramatically from back to front. A trip in any of these sand traps is no picnic as they require exact positioning and a Jordan Spieth-like touch to stay on the putting surface. The 5th hole at Ravisloe made our exclusive list of the Fantastic Par Fours of Chicago golf. A short, dogleg right par four that plays 315 yards from the tips, features three bunkers in the middle of the fairway. It’s a tough layup, especially if you haven’t played the hole often. Both sides of the fairway are protected by thick rows of trees, so accuracy is essential or you’ll be blocked from your approach. Take an aggressive a line with a driver and there’s a good chance you’ll find a large bunker at the end of the fairway about 250 yards from the tee. If you are able to find the fairway with your tee ball, you’ll be looking at a larger green that is guarded by four bunkers, one on each side. The green offers three different levels, so finding the right level is essential, or you could be faced with a treacherous lag putt. 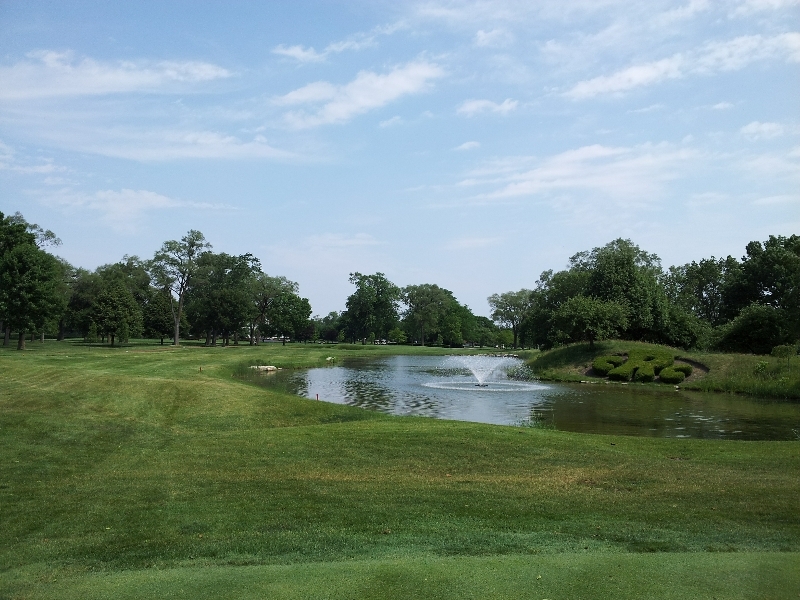 Ravisloe brings many of the highlights of Ross designs to Chicago golf including ample tree-lined fairways, mounds and moguls, fescue grasses, cross bunkers, pot bunkers and fall-away slopes surrounding the green complexes to magnify mistakes. 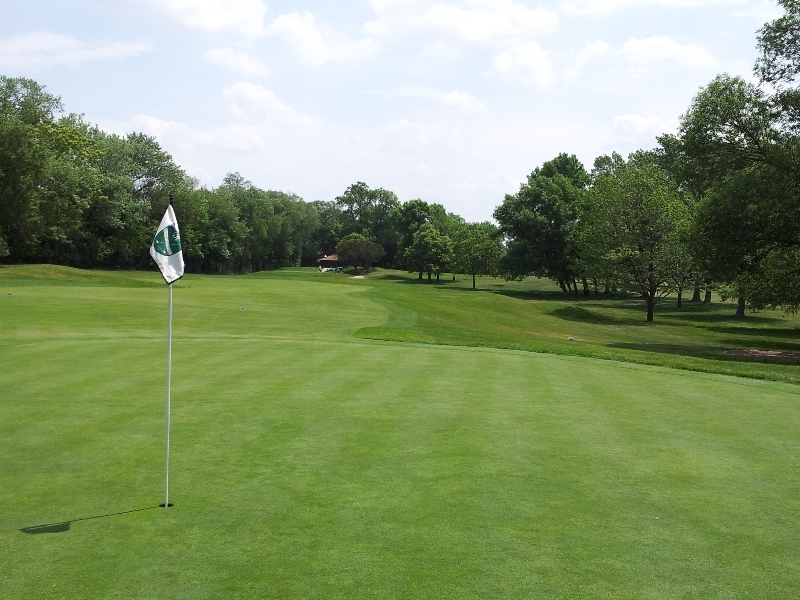 Ravisloe is registered with the Donald Ross Society, and is a must for Chicago golfers who respect and admire the best that Donald Ross brought to the game.